The first Wire Stitcher was produced. 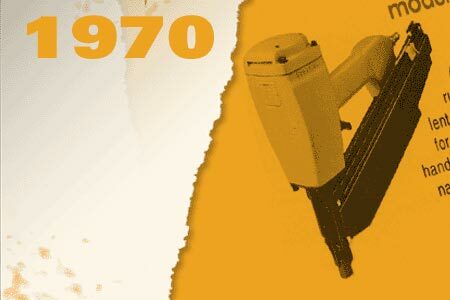 The first Bostitch® Desk Stapler Model AO was manufactured. 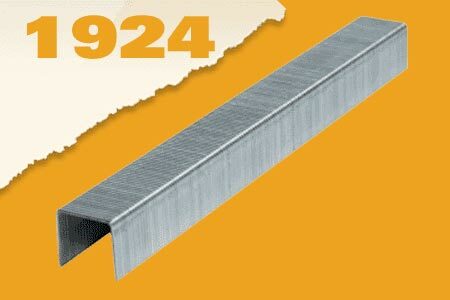 Bostitch® introduced first cemented strip staples - the standard in the industry. Manufacture of Foot & Motor Operated Staplers. The Bostitch® Sales Company was formed to sell Bostitch® products. 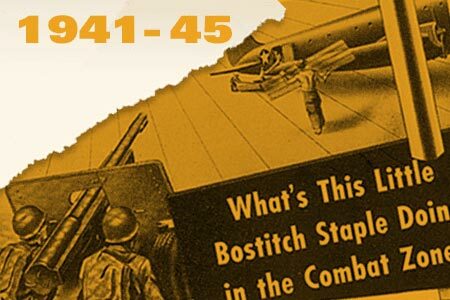 During World War II, Bostitch® devoted all of its facilities to the war effort. 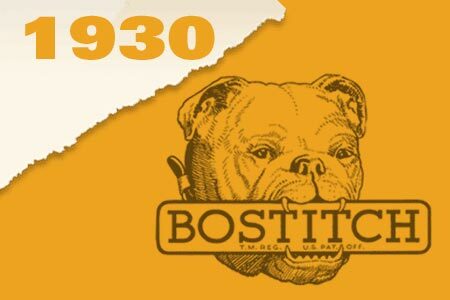 The Boston Wire Stitcher Company officially became Bostitch®, Inc. 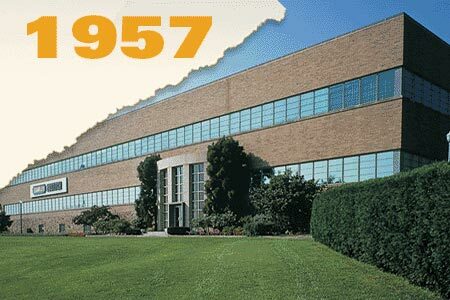 The Bostitch® plant moved to its current location in East Greenwich, Rhode Island. 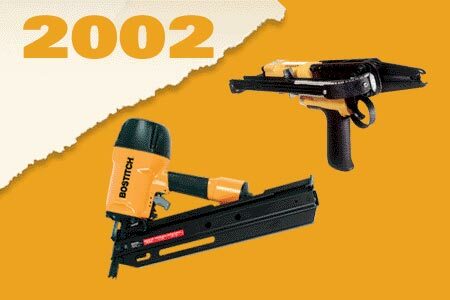 Bostitch® introduced the first Coil Nailer, the N2. 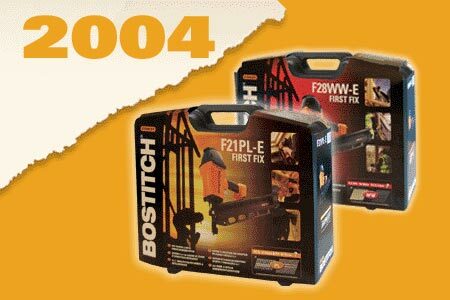 Bostitch® introduced the N16 framing nailer. 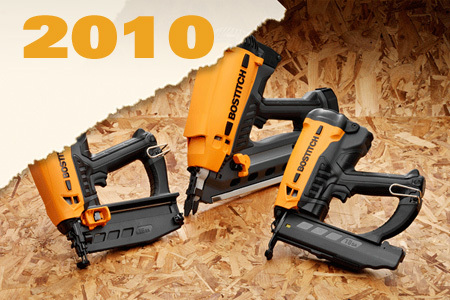 The N12, Bostitch®’s first Coil Roofing Nailer, introduced. The Stanley Works of New Britain, Connecticut acquired Bostitch® from Textron. 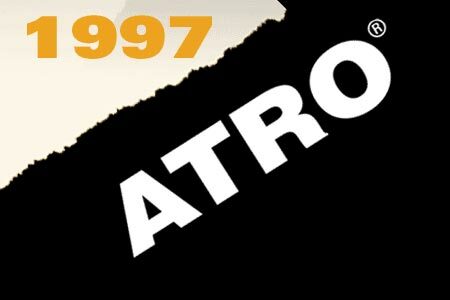 ATRO is acquired by BOSTITCH®. Bostitch® continues its innovation with the introduction of the N88RH-2MCN dual purpose round head and metal connecting nailer, the SC7 ring tool, and the Sheather PlusTM engineered nail and hi-speed VRC machines. New F28WW-E Wire Weld and F21PL-E Plastic Collated Framing Nailers launched. BOSTITCH® accquires BESCO pneumatic manufacturing company. New lightweight and compact Paper Tape Framing Nailer, the F33PTSM launched into the construction market. BOSTITCH® launch a new range of gas cordless tools and accessories. With over 110 years of practical experience across a diverse range of applications, BOSTITCH® have the knowledge, facilities and expertise to stay ahead of demand. Innovative fastener and tool design and manufacture continue to maintain BOSTITCH® as leaders in fastening solutions. 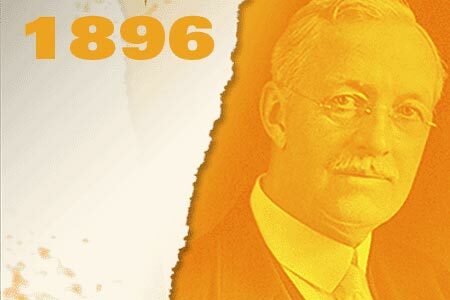 Stanley acquired Bostitch, another company with an outstanding heritage in the fastening industry, in 1987, as part of its drive to become a world leader in fastening applications across a wide range of industries. 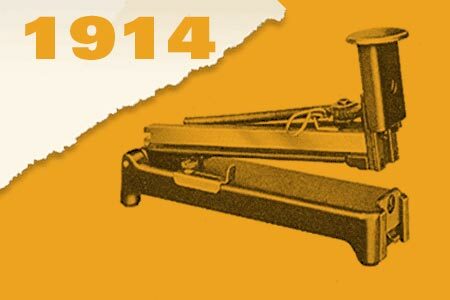 Founded in 1896 as the Boston Wire Stitch Company they produced treadle operated wire stitching machines for fastening books, calendars and hat boxes etc. The original machines used pre-formed staples, which had to be individually fed along a track. 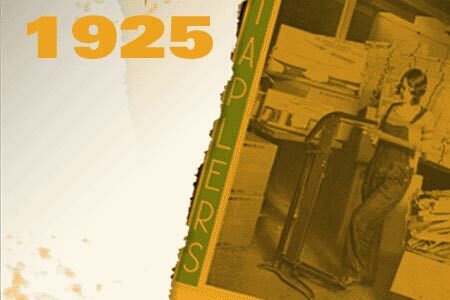 The development of staples collated with paper and then glue saw the start of collated fasteners, which greatly increased efficiency. 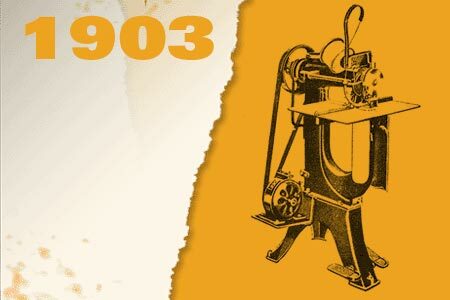 As more industrial stapling machines were developed, the company changed its name to BOSTITCH. These original collated staples were the precursors of today’s BOSTITCH range which now includes collated nails, brads, staples, rings and clips. 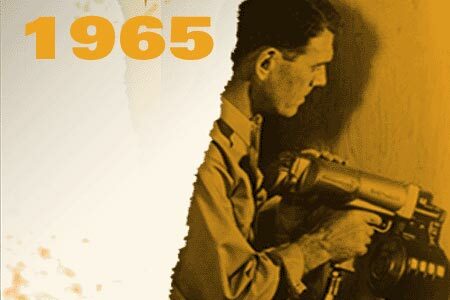 With the acquisition of the Calwire Company in 1961, which manufactured staplers and a T nailer, BOSTITCH moved into the wood fastening market. 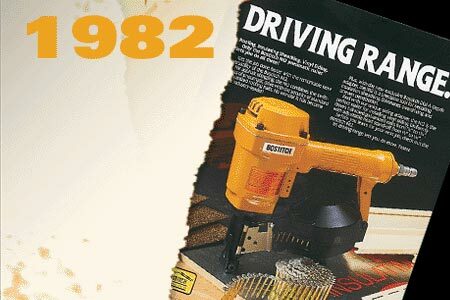 BOSTITCH then introduced innovative new products, such as the first ever coil nailers that revolutionised the pallet making industry, and a roofing coil nailer for the construction industry. 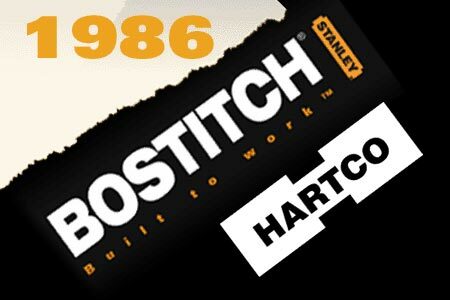 The purchase of Bostitch by Stanley saw the birth of the STANLEY BOSTITCH brand, now renowned across the world for its fastening solutions. 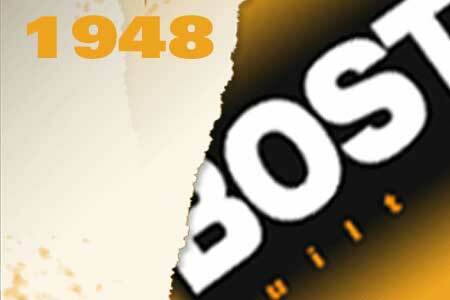 Further acquisitions over the years have brought a range of quality brands under the BOSTITCH name. These include Atro, a major European tool and fastening manufacturer, and Spenax, important fastening solution providers for the bedding and automotive industries respectively. 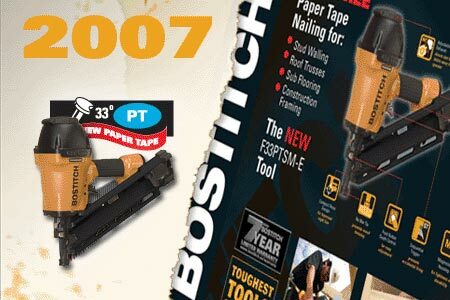 Today BOSTITCH provides a comprehensive range of high quality manual and pneumatic tools and fasteners across major industries such as Construction, Furniture, Packaging, Pallet and Crate, Automotive and Gardening as well as a complete range of office fastening products. 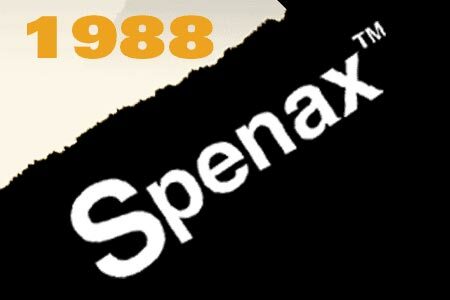 Stanley now has state of the art manufacturing facilities, offices and distribution and servicing sites across the world to provide customers with the ultimate in quality, reliability and service.